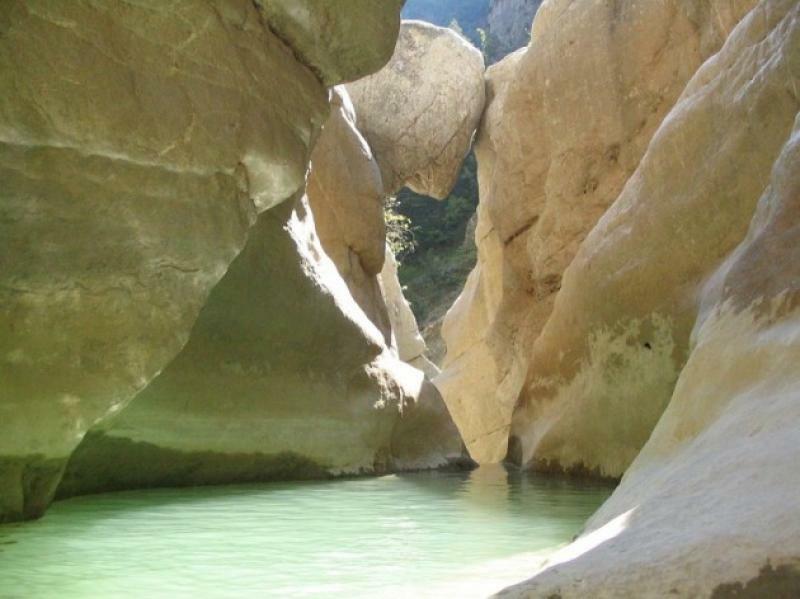 Unusually sized rock formations in a magnificent setting make the Riolan an absolut must ! 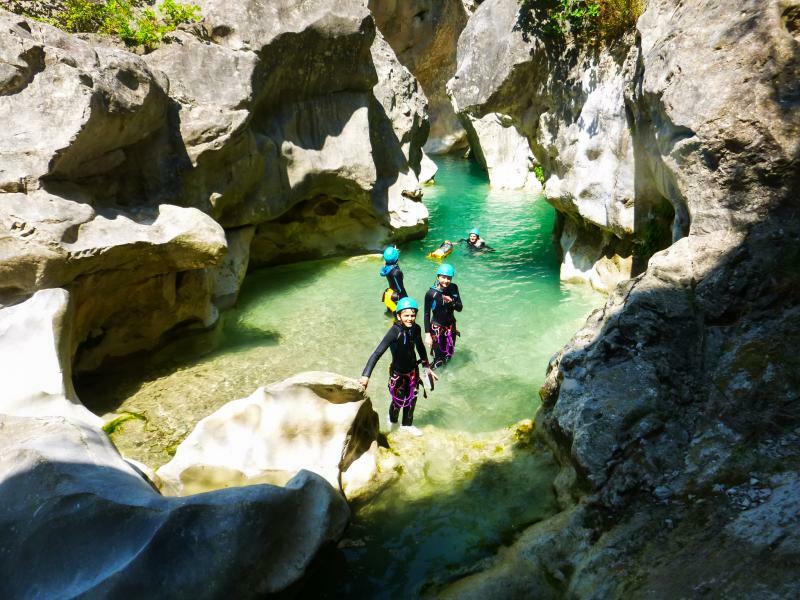 For many professionals, the Riolan is the best and most beautiful trip that can be done in the Maritime Alps. 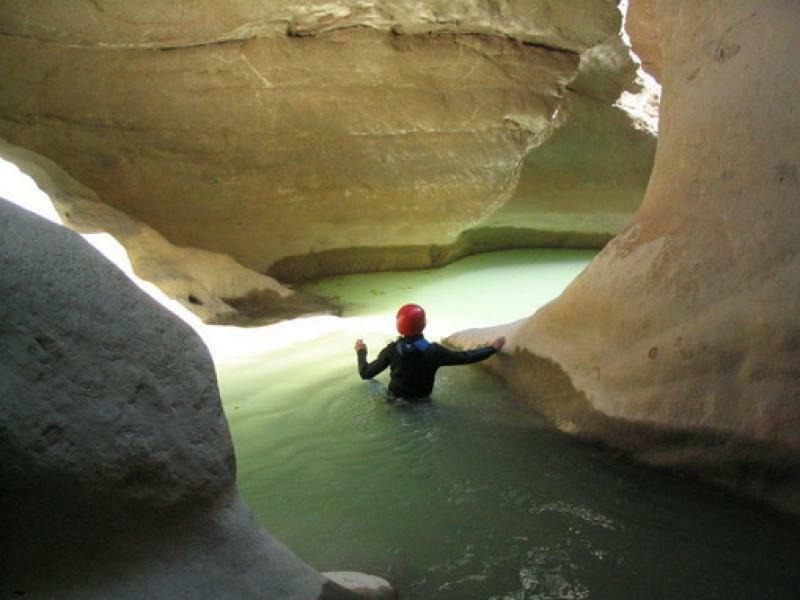 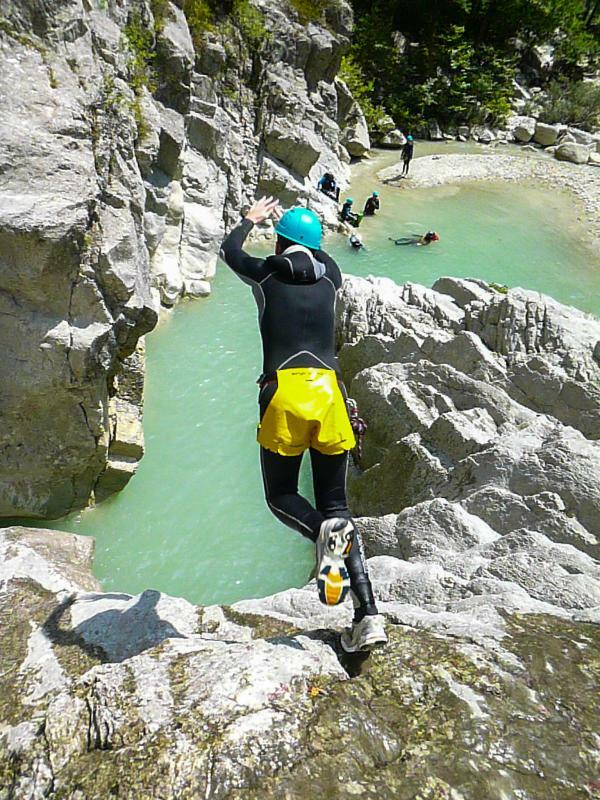 The canyoning takes place between two imposing walls or long corridors interspersed with several ridges that you will swim past – there will also be a sequence of waterfalls and swimming across 3km on a gradient of 180m. 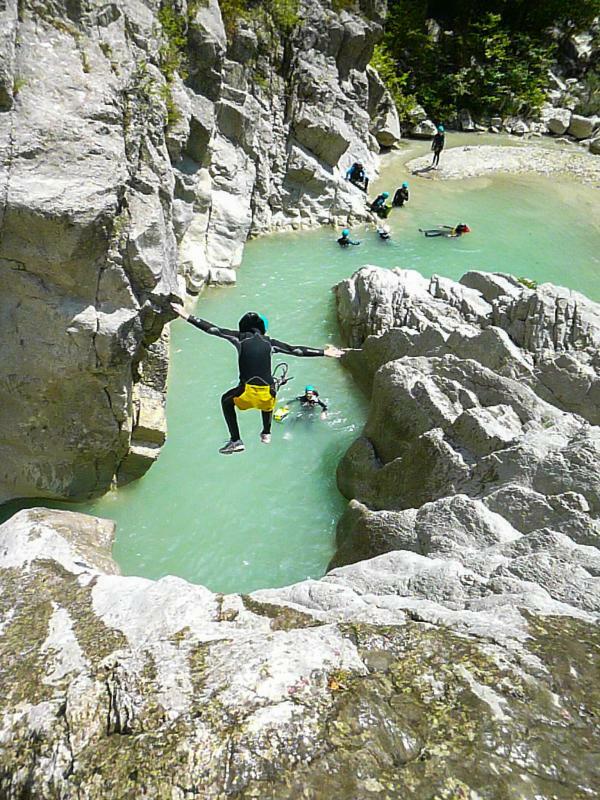 You will tackle jumps (8m), slides and go abseiling (25m), sometimes down waterfalls. 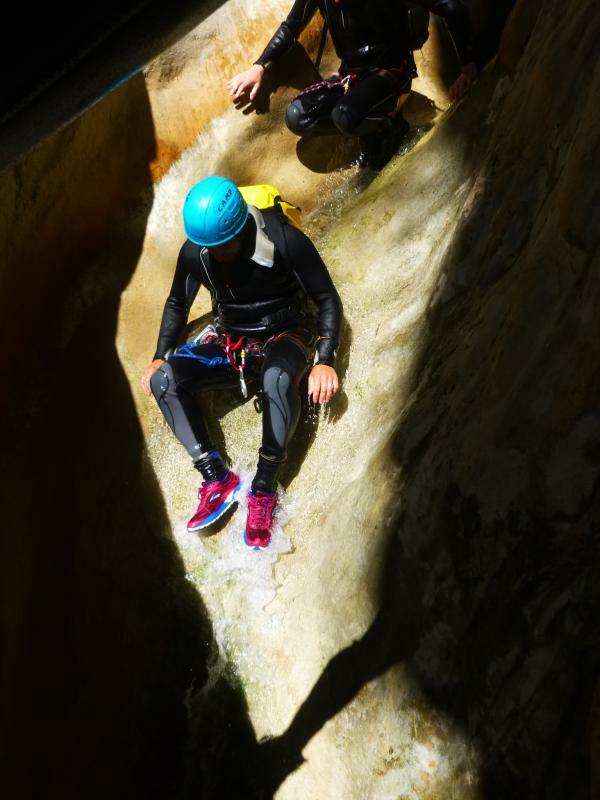 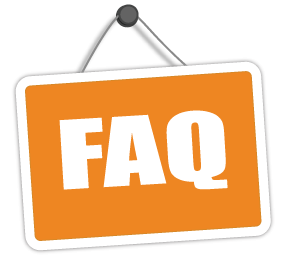 This activity does not require any particular ‘technique’ as such and is therefore appropriate for beginners; however, its length (about 5 hours) requires a good physical condition. 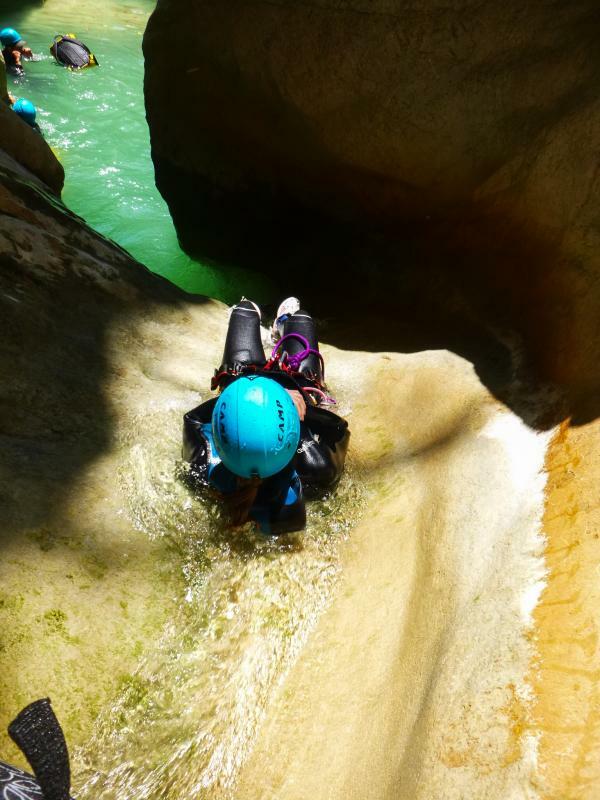 During the activity we will stop for a picnic (canyoning back-packs as well as water-proof tubs will be provided).